Our lessons will teach you how to speak Russian the fast and easy way – especially for beginners. You’ll be reading, writing and learn how to listen in Russian in no time. Reading: Reading Russian may or may not be high on your agenda, but it’s a critical part to learning the language. Building reading skills is a key element in the learning process of foreign languages, so learning how to read Russian is very important. Reading is not limited to understanding the meaning of a particular word, phrase or clause within a text, but rather a process in which the learner can describe the main objective of the text, and make inferences and conclusions. Reading enriches vocabulary and creates the ability to distinguish the context of words, using structures learned within texts. Learning how to read Russian also encourages the forming of natural context for linguistic production. Writing: Writing in Russian may sound like a silly concept. After mastering the new alphabet, what’s the big deal, right? The truth is that writing skills are used for many purposes in language teaching. Mistakes made during written communication may lead to a lack of overall communication, and correct usage of Russian grammatical and lexical rules should be employed. Besides making significant contributions to the development of other language skills, writing serves as a tool for students to organize and express thoughts, feelings and knowledge. Writing is a skill, which uses understanding, critical thinking, and creative skills, instead of a mechanical process. Listening: There’s a big difference between studying a language and learning it. The latter requires real comprehension, which means you’ve got to learn how to listen in Russian. Listening is a linguistic skill necessary in everyday language communication and is essential to the language learning process. Russian listening comprehension also demands a variety of thinking skills including comprehending ideas within a dialogue, evaluating, contextualizing, interpreting and correlating between ideas. Speaking: If you’re reading this, then you want to know how to speak Russian – quickly, easily and effectively. 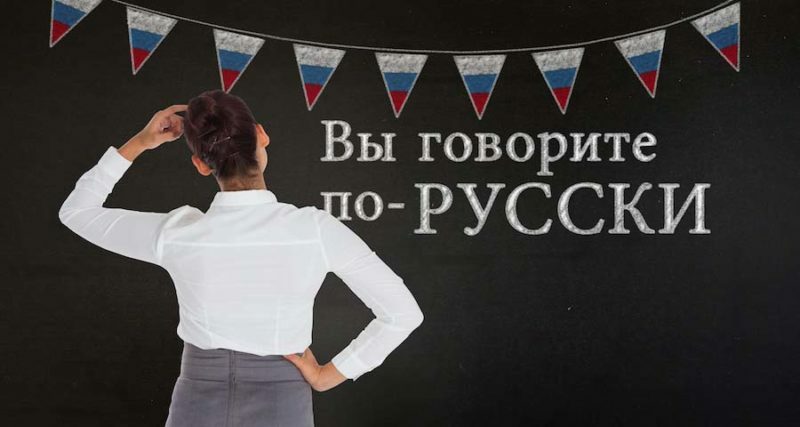 The ability of students to express themselves verbally is one of the main objectives of this Russian language course. A student’s command of a new language depends on the extent to which the student is able to speak it. Correct use of body language and learning grammatical rules and accurate pronunciation of vocabulary, are all necessary for acquiring speaking skills. Given that brief responses and even non-verbal responses make sense in normal communication, practicing meaningful communication is critical to learning how to speak Russian. We are confident that our approach is the best way to learn Russian. Combining the four domains of learning is the most effective way to learn how to speak Russian quickly and easily. Learning how to read Russian and write in Russian is critical if you want to know how to speak Russian. Each of the four domains uses a different part of the brain, and by focusing on all four domains at the same time, our approach ensures that you learn more quickly and remember what you learned. As you begin learning a new language, you might think that the easy way to speak Russian is to just jump into speaking. Don’t get us wrong. Speaking is critical to learning, but it’s just one part. Reading and writing are core to learning how to speak Russian, as is work on Russian listening comprehension.